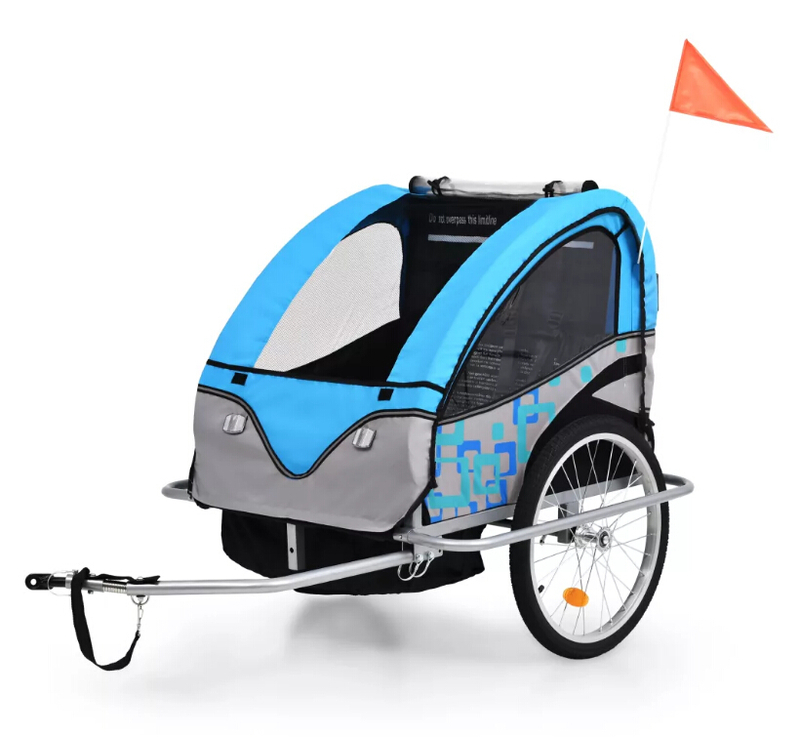 This practical kids\' bicycle trailer can be easily converted into a stroller in seconds and presents a great way to take the children out for a ride or walk. 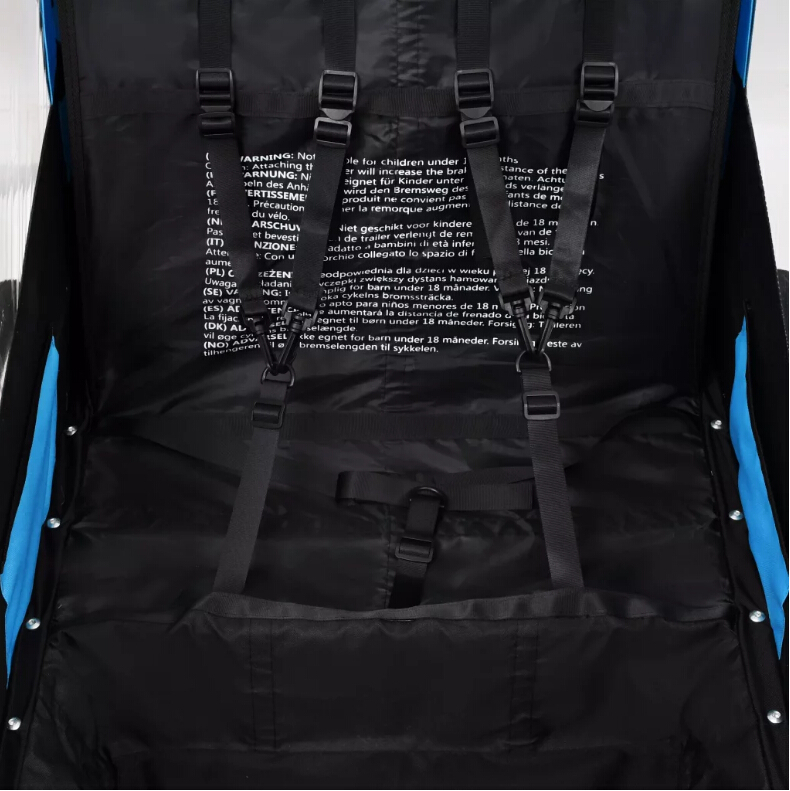 It is suitable for 1 to 2 children with a combined maximum weight of 40 kg. 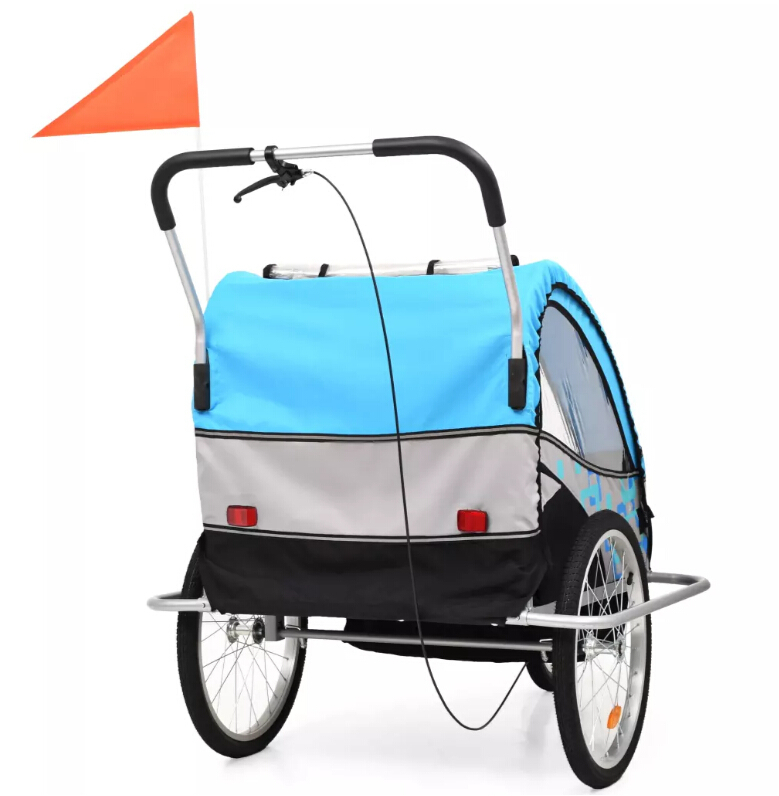 This kids\' bicycle trailer has a sturdy steel frame and is made of oxford fabric, which makes it water resistant, durable and easy to maintain. The all-weather canopy and mesh screen protect your kids from rain or sunshine, while two transparent side windows provide a great view of the road. Its 5-point safety harness system offers optimal security for your kids. 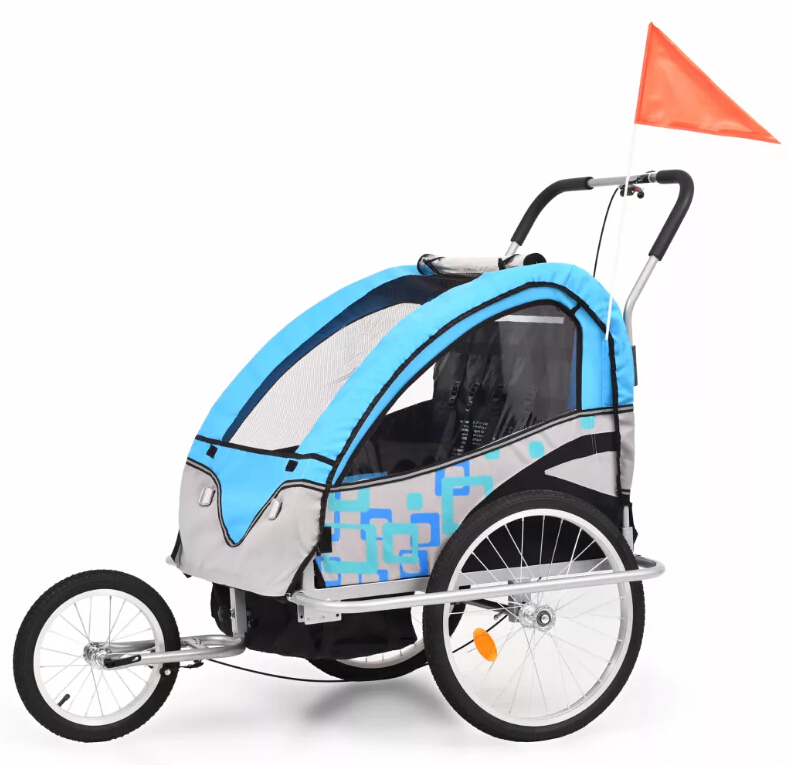 The kids\' bike trailer features high-visibility colouring and wheel reflectors for maximum visibility and a handbrake on the front wheel for added safety when going down hills. Two inner pockets provide ample storage space for food, toys and other necessities. Its safety rotating joint ensures that the trailer will remain upright if the bicycle falls over. 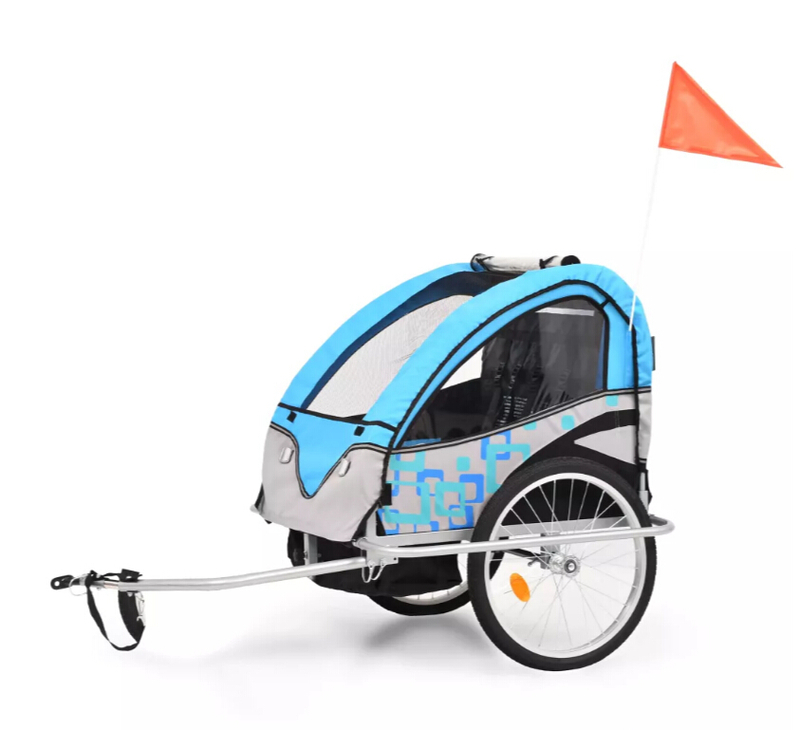 This children\'s bicycle trailer has a quick-release hitch for easy attachment to a bike. 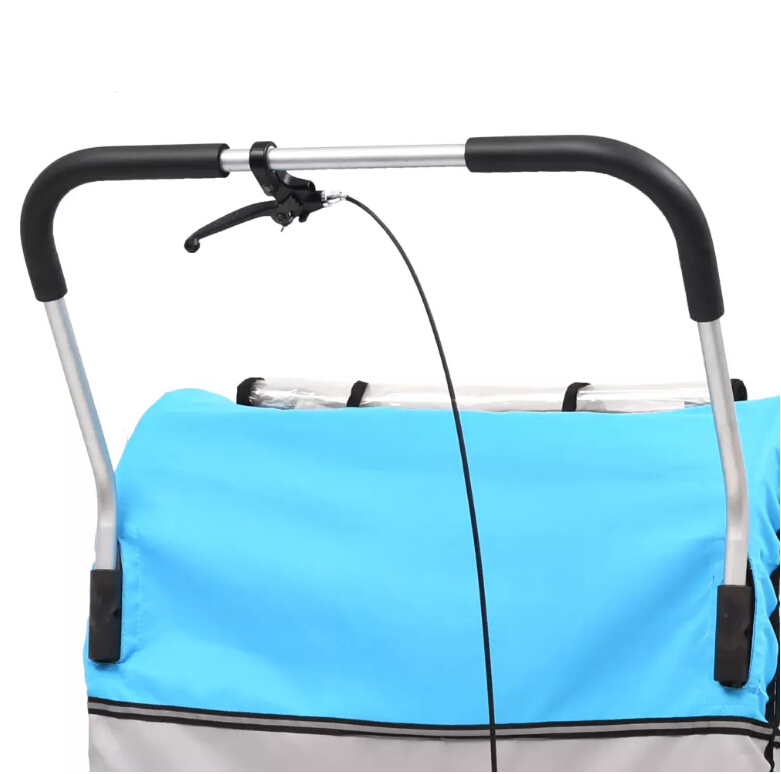 This bike trailer can also be folded for easy storage and transport. A safety flag is also included in the delivery for added visibility. Assembly is easy.